One question about the final meal, do you re-heat the gyro meat at all before serving? Your instructions say to let the meat cool for slicing and warm the pita, nothing about re-warming the meat before assembling the whole thing. Pretty sure you just need to let it cool enough to slice, at least that's how I do it. I've got one on the BigJoe now. I was inspired by @Rak73 and made one of my own based loosely on his recipe... this was delicious! I also made @Rak73 's Gyro it was really good! Last night I cut this recipe in half. Then I split it into six personal sized gyro's. Cooked them on the Konro. This worked really well and will be my goto method for this type of cook in the future. 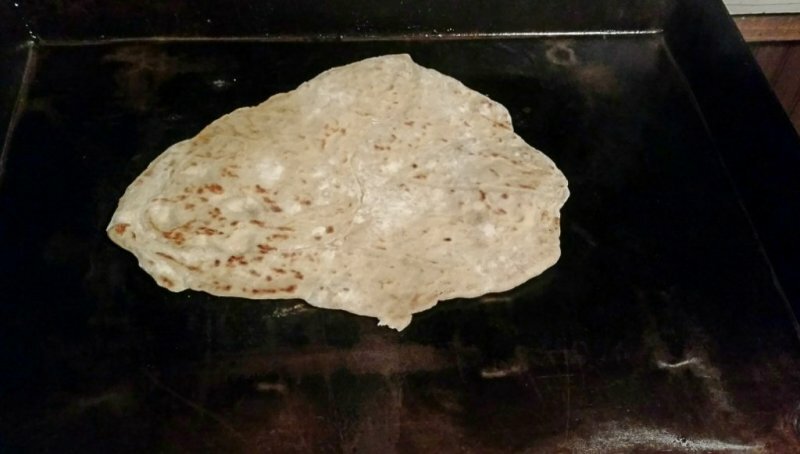 (any excuse to play with the Konro ) While I was doing the turning Mrs skreef made some naan bread on the griddle. Served with the normal Greek fixings. This is the second time I made Rak's Naan bread. If you haven't tried it yet. Need to make you some.. So so good. Thanks @Rak73 good the second go around. Yes it is and yours looks really good. I've made this recipe a few times in the past. Great recipe. Yours looks delicious. Used the small Vortex with a couple handfuls of KBB. 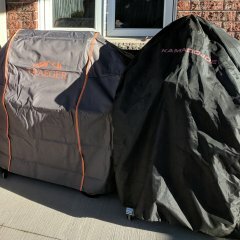 Funny thing is that I used it in a 24" kamado. Everyone said I'd be underpowered. Sting beans made with Don's Seasoning Delight, garlic, smoked salt & butter. Weird meal, I know.....but had some random stuff that cooked together really well. Using a light slather of mayo.....then dosing with Greek Rub and finishing on the grill with Plowboy's makes for the best wings I've ever made......according to the tribe. No heat, though....just good flavor. Here is a recipe for my tzatziki sauce to go with my gyro recipe (linked below as well). Been meaning to post this for a couple months now and just now got around to it. 1 seeded and chopped cucumber, strained through cheesecloth. Mix all together. 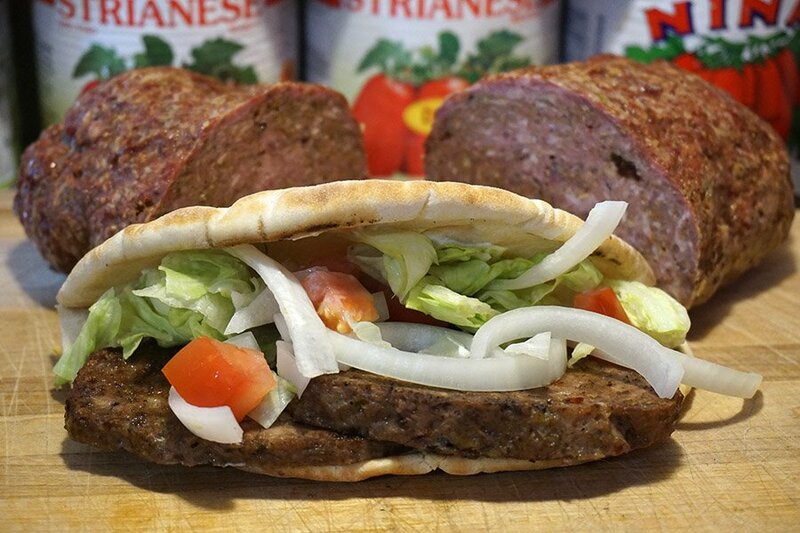 Refrigerate until ready to top your gyro. Been meaning to record and post this for a couple months. Finally did it although I ran out of fresh rosemary and had to use my stash of dried. This is so good. I may never go out for gyro ever again! Mix all well in stand mixer then process into a smooth paste (in batches) via food processor. Pack tightly into a log shape. Roll up tightly in plastic wrap. Refrigerate until ready to cook. Cook on kamado indirectly at around 325-350 deg F turning at least once until 170-175 deg F IT. Should take between 1 and 1.5 hours. Hello fellow KG forum members! 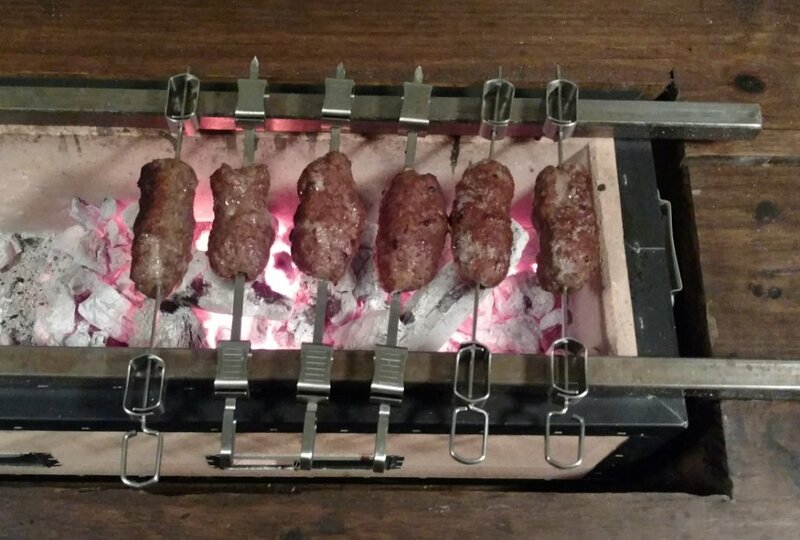 After seeing Rak's post where he detailed the process for creating a Gyro in your own home, I realized that I just had to try the same thing out for myself! I absolutely love Gyros and can't get enough of them. Whenever I see them at the county fair or at a restaurant around town, I immediately go into "I want a gyro right now" mode. A little over a week ago, I rounded up the ingredients and started the process. After creating the log-o'-gyro-goodness, I wrapped it in plastic wrap and let it meld for 24 hours. Onto the grill it goes! Here's what it looks like after hitting the internal temperature. This log was definitely not as pretty as Rak's log, but since you're going to slice it up, it really didn't matter. Here's two pounds of gyro heaven just waiting to be pitafied!!! After heating up the pita bread and slathering on a layer of tzatziki sauce, on went the gyro meat and a little onion and lettuce. This is EXACTLY how I like it! The taste was 100% equivalent to what I've tasted before and I know that it's correct because I just had my taste buds calibrated. If you're into gyros like I am, give Rak's recipe a try. I guarantee that you won't be dissatisfied!!! If you are, well, then he'll give you your money back! Family meal today. Homemade gyro on the kamado with homemade tzatziki. Fresh rosemary made a huge difference. Definitely doing this one again!